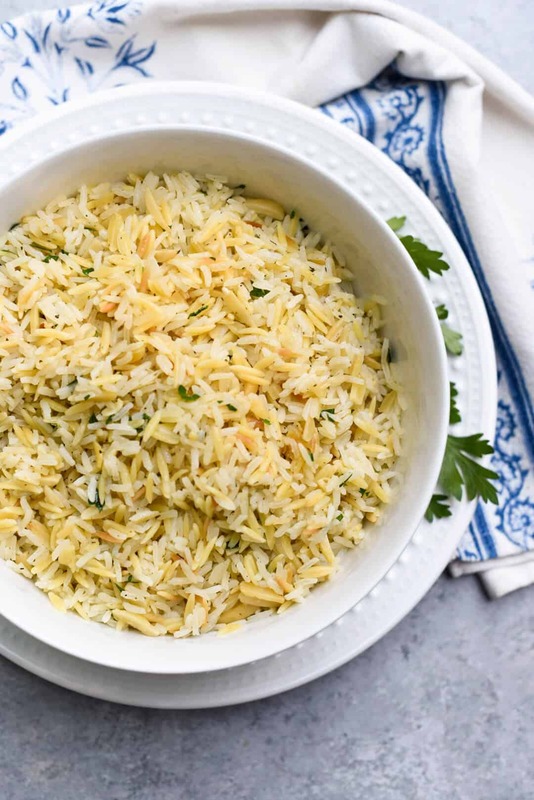 This Almond Rice Pilaf recipe calls for pantry staples and takes less than 30 minutes to prepare. 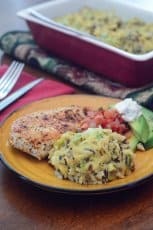 An easy, delicious, versatile side dish! If you want to control the amount of sodium and other odd additives you see listed on boxed rice mixes, the answer is obvious. Make your own. And, when it’s this easy, there’s really no reason not to. I have to admit I really do love some of those boxed mixes and relied on them quite a bit when the boys were younger. To this day I will grab a couple when they’re on sale to keep on hand. 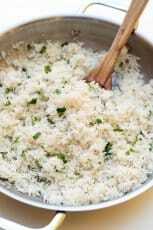 But, there is nothing like made from scratch rice pilaf. This is my version with almonds and a simple blend of spices that I always have stocked in my pantry. 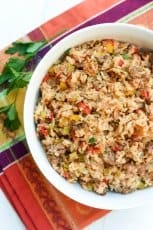 I’ve had a number of requests from readers for a basic pilaf and this one is one of the best. It is delicious, comforting and a truly beloved recipe. 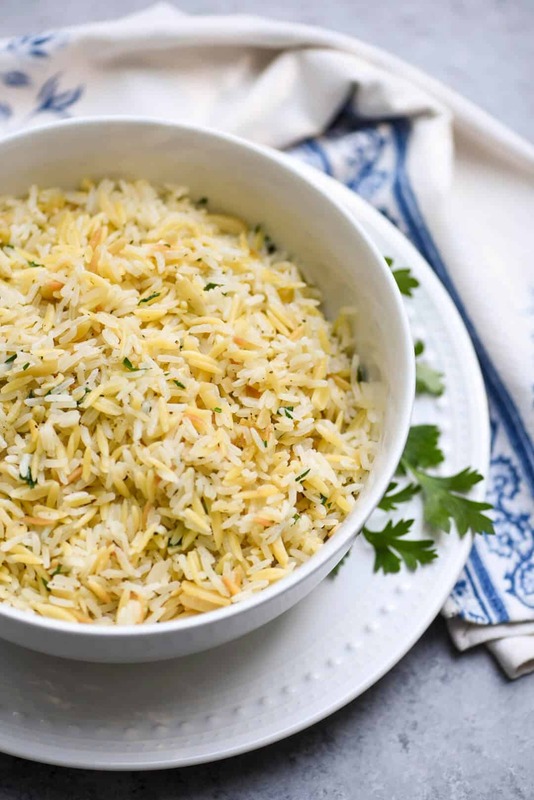 For this pilaf I use a blend of long grain white rice and orzo. 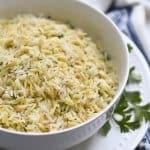 Orzo is a unique little pasta that is shaped like a grain of rice and you should easily be able to find it in the dry pasta section of your grocery store. It’s delicious in soups and and it is the perfect choice for pilaf. 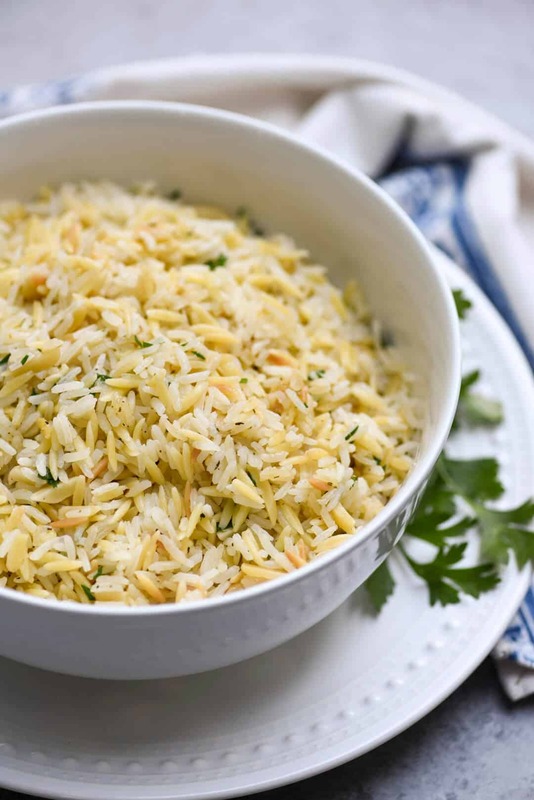 Slivered almonds are toasted briefly along with the rice and orzo to add nice texture and wonderful flavor. A quick note about the seasoning. Don’t be tempted to add more than stated in the recipe or it will overpower the flavor of the dish. I use small amounts of garlic powder, onion powder, and Herbes de Provence. If you’re saying “Herbes de… what the heck?” and don’t have a bottle of this incredible spice blend in your pantry, feel free to substitute dried thyme. I would like to take a moment, however, to urge you to pick up a bottle at some point and give it a try. 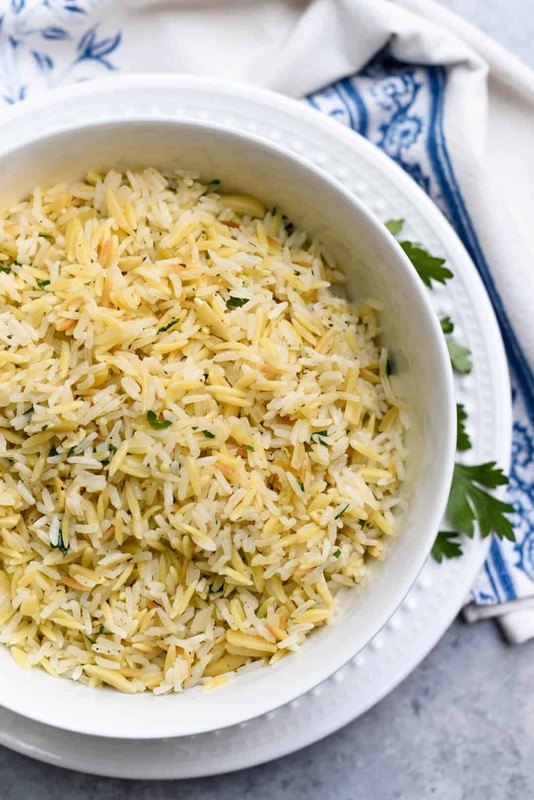 It is a fragrant blend of rosemary, marjoram, thyme, and savory and adds just the right touch to pilaf. It is also wonderful in beef stew and roast chicken. I think if you try this recipe you’ll understand why I have such big love for it. Fast, easy and so, so delicious. It’s a keeper! Melt butter in a 12" skillet with a lid over MEDIUM heat. 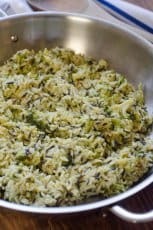 Add rice, orzo and almonds and cook, stirring, for several minutes until they are lightly toasted. Carefully pour in the chicken broth. Add all the seasonings, except the parsley. Stir to combine and bring to a low boil. 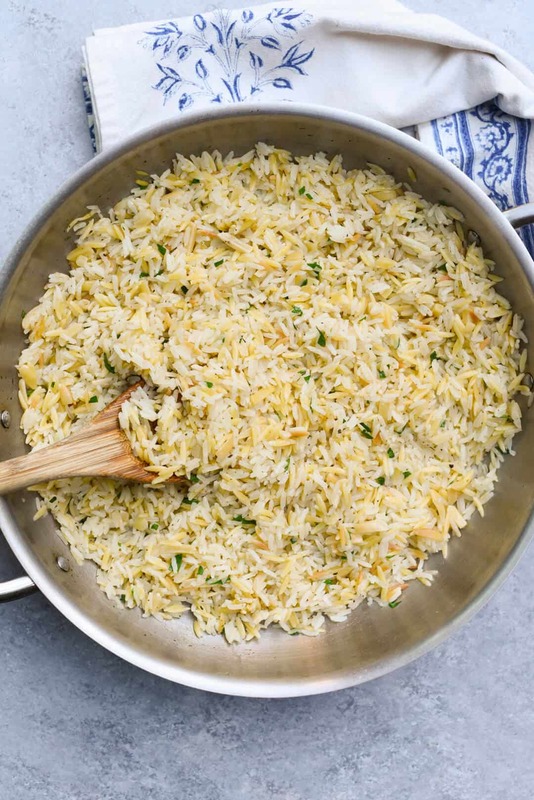 Reduce heat to LOW, cover the skillet and cook for 20 minutes or until the broth has been absorbed and the rice and orzo are tender and fluffy. Remove from the heat, stir in parsley, and serve. To reheat, add a splash of water and microwave for a minute, or until warmed through.